Nicholas Lester studied at the Adelaide Conservatorium of Music and the National Opera Studio‚ sponsored by Glyndebourne. 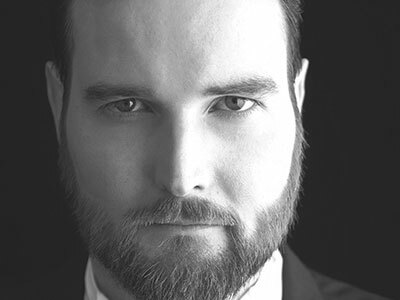 He was a State Opera of South Australia Young Artist, a recipient of an Independent Opera/NOS Postgraduate Voice Fellowship‚ awards from the Simon Fletcher and Tait Memorial Trusts, and Glyndebourne’s Anne Woods/Johanna Peters Award, and is grateful for support from Chris Ball and Serena Fenwick. Recent and future engagements include: Eugene Onegin, Figaro Il barbiere di Siviglia (WNO); Ford Falstaff (Grange Festival); Guglielmo‚ Dandini La Cenerentola, Figaro Il barbiere di Siviglia, Frédéric Lakmé (Opera Holland Park); Marcello, Valentin Faust (Dorset Opera Festival); Josef K in Glass’s The Trial‚ Germano La scala di seta‚ Dr Malatesta Don Pasquale, Ping Turandot (Scottish Opera); Guglielmo (Danish National Opera); Daddy Bear Goldilocks and the Three Little Pigs (The Opera Story); Escamillo (Mid Wales Opera); Gianni Schicchi (Amsterdam). Concerts include Mahler’s Lieder eines fahrenden Gesellen for Maurice Béjart’s ballet Song of a Wayfarer (English National Ballet)‚ Brahms Requiem (Beijing)‚ Vaughan Williams Five Mystical Songs (CBSO)‚ Fauré Requiem (St Martin-in-the-Fields) and Messiah conducted by Laurence Cummings.